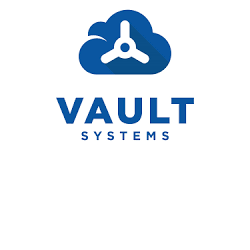 Vault Systems is a Government Community Infrastructure as a Service Cloud Provider that has incorporated and automated the delivery of the Australian Federal Government ISM and PSPF Controls to provide one of the world’s most secure clouds. Vault has achieved ASD Certification for Unclassified DLM and Protected. This makes Vault only one of two companies globally who have met the rigorous standards of ASD to achieve Protected Certification and who delivers data sovereignty through the use of Australian datacentres and Australian security cleared staff. Vault also offers an ASD Certified Secure Internet Gateway for customers to deliver their services. Vault is only one of two companies globally to achieve Protected certification on the Australian Signals Directorate's Certified Cloud Services List. Vault leverages the OpenStack platform, the world's largest, open source project, to take advantage of multi-billion dollar R&D investment. OpenStack provides direct access to the source code and is based on open standards.